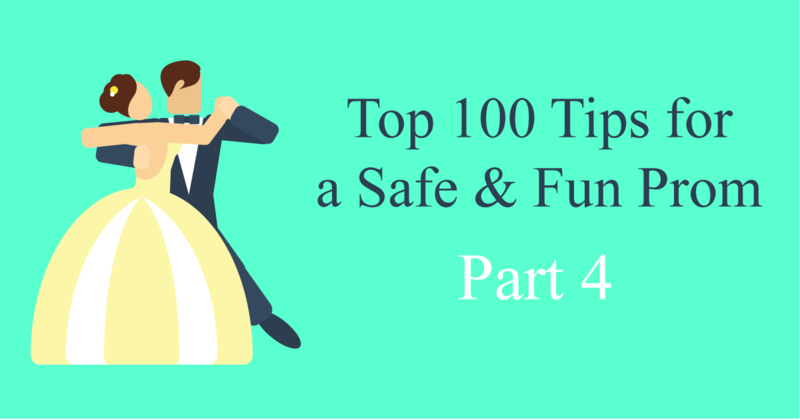 This is part seven of ten covering the 100 top tips for a safe and fun prom. Each week, we will count down to the most important tips to have the safest and most fun prom possible. As a partner to more than 140 High Schools in the greater Philadelphia, PA area, Kevin Smith Transportation Group is the #1 preferred Prom Transportation company. With that in mind, we are counting down the top 100 safety prom tips as shared by leading safety experts. Here are tips 31 to 40.